When a famous author dies, readers write fondly about the first time they met the icon -- in print, that is -- and let us know which book or quote is their favorite. Friends of the dearly departed, who knew the writer beyond his or her written work, pen more personal tributes. Then there are us lesser lights who recall our brief brush with greatness -- and cringe at the memory. Like the time I tried to edit Ray Bradbury. My close encounter with Bradbury was a disaster. And as I look back now, a pretty predictable disaster. There I was a lowly book editor at the St. Petersburg Times asking a sci-fi megastar to do a piece on assignment, an article imagining how the Super Bowl might evolve in 100 years. What chutzpah! 1) Imaginative writing should not be commissioned. 2) Science fiction/fantasy writers are not overly fond of narrative structure. 3) All writers need editors except the famous ones who won't. Like a lot of bad ideas, this idea sounded good at the time. It was just before the 35th Super Bowl in January 2001, the first Super Bowl of the 20th century, and it was to be held in Tampa. The newspaper's sports editor thought it would be cool to have a science fiction writer imagine what Super Bowl 2101 would look like. I could have found a local sci fi writer who would have been thrilled to take a stab it. But, no. I had to think BIG. I had to go for the supernova of sci fi/fantasy: Ray Bradbury. I should have been wary when Bradbury asked for so much money. But, hey, how can you put a price on greatness? What a coup a Bradbury original would be! People would be talking about this piece for decades -- maybe even until 2101. He had entitled it Sporticus 2101. He imagined the greatest Super Bowl game in all history was held in a super arena that had been conceived in the year 2000 by the architectural consultant/designer Ray Bradbury. He imagined the humongous stadium was ringed with endless shops where athletes of every sport imaginable -- even jai alai -- could find the world's best sports equipment. He imagined that the first Superbowl of the 22nd century was witnessed by two billion people who paid one hundred billion dollars to see the Quicksilver Lites beat the Gigantic Bisons. All the ingredients were there. The only problem was, they were not there in any readable order. The piece was chaotic, with imaginative ideas popping out all over the place. It was nearly impossible to follow as Bradbury offered up sentence fragments and inexplicable twists and turns. The gigantic stadium and its environs had become the center of all sports in the U.S.: surfing, ski jumping, even kite-flying and fights between wild buffalos and stark mad elephants. The revenues from the Super Bowl were given to needy countries to build schools. Stadiums like Sporticus were built all over the world and eventually wiped out wars. The U.S. president once had been a star quarterback. Future football leagues had three weight divisions. Huh? What's he talking about? the sports editor asked me. Don't worry, I told him. It'll be fine. I'll just do some editing. I moved sentences around. I completed others. I tried to fill in some holes in Bradbury's logic. I smoothed over the bumps. When some of the sentences still remained unclear to me, I attached notes, asking Bradbury to clarify and/or to flush out certain sections. Okay, I gutted the piece. I tried to tame Bradbury's exuberance and create a more coherent narrative. I trimmed back excess and shaped the story into something less confusing albeit more prosaic. Then I emailed the edited version to Bradbury with a note about how it was such an honor to work with him. I tried to make it clear that this was just the beginning of the editing process. None of my changes were writ in stone. I imagined myself the Maxwell Perkins to his Ernest Hemingway. Bradbury was quick to respond: We had to print exactly what he wrote or nothing at all. We chose nothing. We sent him a kill fee of thousands of dollars. It seemed fair. He was, after all, Ray Bradbury. Over the years, I have mulled over and over this hapless story of my Distant Sighting of Ray Bradbury. At times, when I'm feeling pessimistic, I am convinced that he knew all along that we would never print his mishmash of a piece and that he just took the assignment for the kill fee. I imagine him laughing at our attempt to make the muddled article work for a newspaper audience. At other more self-deprecating times, I tell myself that it was all my fault. I was awfully cheeky to try to edit such an icon and I deserved to be turned flat down. I imagine that Bradbury was sad not to see his phantasmagoric imaginings of Super Bowl 2101 in print. Then I remember: I am talking about Ray Bradbury, a writer who authored hundreds of published short stories, close to 50 books and numerous poems, essays, operas, plays, teleplays and screenplays during a career that lasted more than 70 years. We clearly had needed him far more than he had needed us. Why should he have bothered to deal with an obscure book editor? Bradbury already had legions of adoring fans who wouldn't have cared a whit that his piece read like a first draft. Sci fi lovers are notoriously tolerant of works that show their seams in the service of an imaginative idea. Why else would fans of Doctor Who have put up with those cheesy props and fake planets for so long? In her tribute to Bradbury on her blog Ramblings, my niece Sonja explained why she was willing to accept the implausibility of matters both large and small in her reading and later re-reading of a Bradbury's short story entitled "All Summer in a Day." She was in the sixth grade when the teacher had the class read that story of an Earth girl who was tormented by her classmates on Venus. It was Sonja's first introduction to Bradbury. She was entranced with the idea of a world where the sun only came out for two hours every seven years. Then as an adult and a teacher herself, she assigned "All Summer in a Day" to her students. On re-reading the tale, Sonja noticed a few off-kilter details she had overlooked as a child. But so what? What's a plot hole or two matter in a story that has haunted you for years? Bradbury already had her believing that a girl could travel from Earth to Venus and that a planet could sustain life without sunshine. Having to swallow more minor imaginative stretchings -- like why would the teacher have left her students alone and why when they went out to see the sun wouldn't she have noticed a pupil was missing -- was no biggie in the service of making a point about bullying in such a unique way. "'All Summer in a Day' was an excellent way to open a deeper discussion with students about tolerating differences among classmates," my niece wrote, opting for originality over believability. Of course, Bradbury's forecast of a super Super Bowl stadium wasn't all that damn original. Decades earlier -- in Esquire in 1973 -- William Harrison had already conjured up a future sports arena that was awesome to behold. 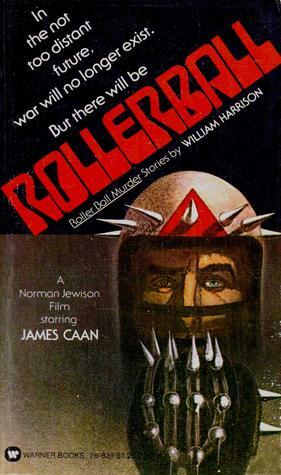 Rollerball, anyone? But Bradbury's imaginings of the first Super Bowl of the 21st century had come in a vintage Bradbury package that his more devoted fans might have appreciated. As far removed from the who-what-when-where-why-how inverted pyramid structure of journalism as you could get, Sporticus 2101 was a jumbled juxtaposition of crazy flights of fancy, loopy predictions and prosaic declarations coming at you in a feverish, confusing flood of Bradbury words. Every last unedited one of them.